A fire extinguisher, is an active fire protection device used to extinguish or control small fires, often in emergency situations. It is not intended for use on an out-of-control fire, such as one which has reached the ceiling, endangers the user (i.e., no escape route, smoke, explosion hazard, etc. ), or otherwise requires the expertise of the fire brigade. However, fire extinguishers also require stringent maintenance to ensure they will work when needed, or are more importantly, safe for the person using the fire extinguisher. Fire extinguishers are pressurised vessels that can explode when corroded or damaged, and have been known to cause serious injury and even death. The first of these maintenance procedures will normally be carried out by a member of internal staff who has been trained so they know what to inspect and look for. The second of these inspections must be carried out by an external Fire Protection and Detection Technician or the fire extinguisher manufacturer at least once a year. As part of the annual inspection it is required by I.S. 291:2015 that at least one third of all water, foam, dry powder and carbon dioxide extinguishers will be test discharged and refilled annually. 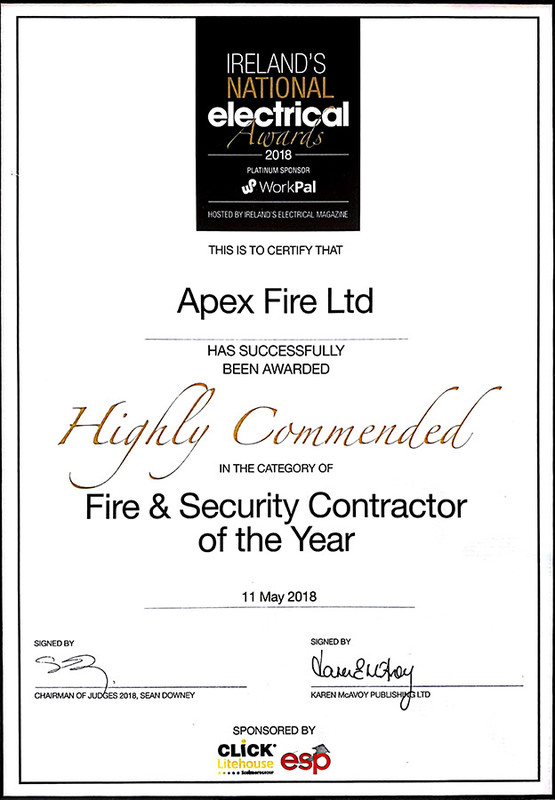 For companies the simplest and most reliable way of ensuring that they are compliant with the law is to set up a fire extinguisher maintenance contract with Apex Fire. We will arrange to undertake the necessary inspections/maintenance whenever they are due and advise you of any action necessary to keep your equipment in good working order. We can service all types of fire extinguishers all at fixed prices with no hidden extras. 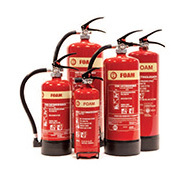 To get prices and arrange fire extinguisher servicing simply contact us or call our friendly team at 1850 929829.